Providing container hauling from the harbor on 20, 40, and 45 foot containers. Overweight containers are subject to a special surcharge. Providing same day deliveries on recoveries available before 10am in areas A,B,C. Providing same day deliveries on freight available after 10am but may be subject to a special surcharge. Transfers to airport and line-haul agents available every evening. Full service distribution, pick-n-pack orders, fulfillment, assemble, and returns, and labeling. Monthly inventory reports available. Tractor, trailers, flatbeds, cargo vans, pickup trucks, 16 foot bobtails, and 24 foot air ride bobtails with 8 foot height available. Providing overnight and same day transportation. All bobtails have lift-gates, pallet jacks, and hand trucks. Servicing the greater Los Angeles, Orange County, San Bernardino, and Ventura County. Areas beyond area C may be subject to a special surcharge. 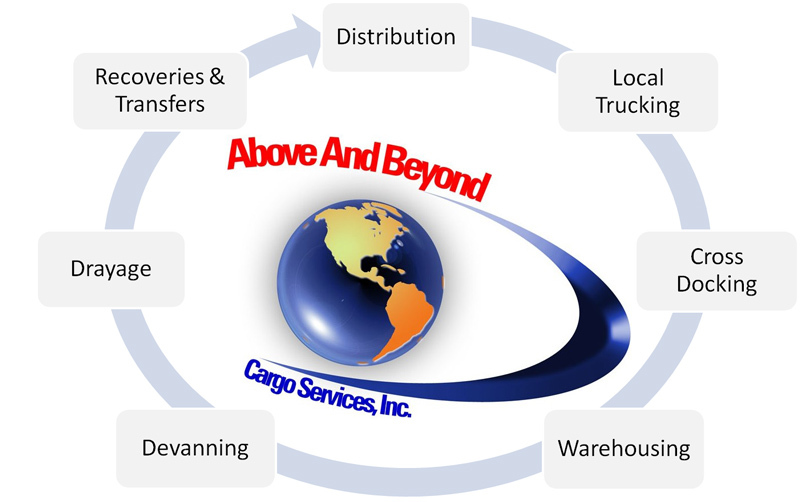 Providing cross docking services to hold freight on warehouse and load in other trailers. Devanning and loading all 20, 40, and 45 foot containers, palletized or hand stacked loads. Palletizing, shrink wrapping, sorting, segregating, and labeling services available. 11,000 square foot secured, insured, warehouse with security cameras inside and outside facility and gated yard. Providing short term and long term storage, with monthly inventory reports available. by always shipping our customers' freight in such a way that it arrives correctly the first time, on-time, and looking "pretty."